The beer calendar has turned to winter, even as the outdoor beer festival goes strong. Get ready for dark, strong ales, and plenty of spice in your pint glass. Help yourself to a glass of #TapList. New Axiom Brewing Co. (949 NE Columbus St., Lee’s Summit, Missouri) has a host of new brews in the works: Ella On The Pond (a “florally, citrus forward” pale ale), #Strong&Pretty (a Belgian strong ale) and Amber Waved At Grain, an American amber wheat. 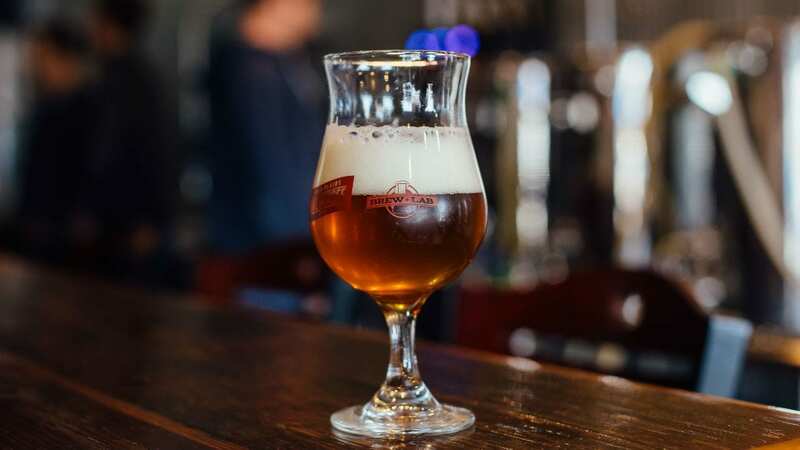 Brew Lab (7925 Marty St., Overland Park, Kansas) has several new beers on taps: an Oktoberfest, a blueberry kolsch, an Imperial brown ale aged in wine barrels. 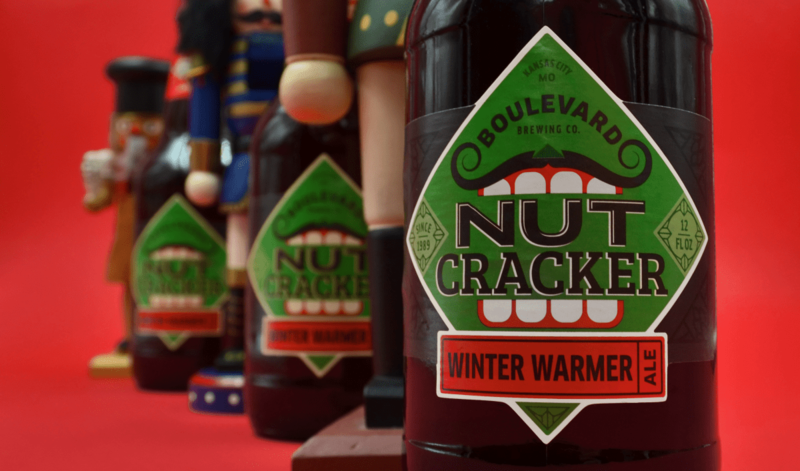 Boulevard Brewing Co. released Nutcracker Ale, its winter warmer seasonal, yesterday. This spicy ale is made with malt, hops and brown sugar. The Sierra Grill (11099 Lackman Road, Lenexa, Kansas) hosts a five-course dinner ($50) featuring Martin City Brewing Co. at 6 p.m. on Wednesday, Oct. 24. There’s oysters on the half shell with MCBC’s Blond and a hop-rubbed pork belly with Martin City’s House Saison. Cinder Block Brewery (110 E. 18th Ave., North Kansas City, Missouri)’s Imperial Coffee Hop’d is a seasonal release out in four-packs. The English brown ale is a taproom only release. The Crossroads holds a Neighborhood Haunted Pub Crawl from 5 p.m. to 1 a.m. on Saturday, Oct. 27. Get candy and dive into Halloween at Border Brewing, iTap, Double Shift, Mission Taco, Lifted Spirits and Grinders. There will be a costume contest at Grinders at 10 p.m.
It’s New Belgium’s OG Sour Night at Grinders Pizza (417 E. 18th St.) starting at 6 p.m. They’ll have LaFolie, along with Transatlantique Kriek; Le Terroir, a dry-hopped sour; and Blackberry Felix, a sour aged in blackberry-flavored whiskey barrels. 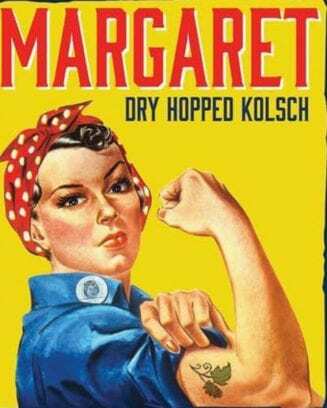 iTap Crossroads (403 E. 18th St.) taps its collaboration with Odell Brewing Co. at 6 p.m. Margaret is a dry-hopped Kolsch. People Power Beer comes to Kansas City on Friday night. Breweries across the county have created beer in support of the American Civil Liberties Union and American’s right to vote. Bier Station will donate 10 percent of sales of People Power Beers — Crane, Double Shift, and Stockyards are participating locally — between 4 and 9 p.m. Brew & Chew, a mash-up of food trucks (Mad Man’s BBQ and Vee’s Barbecue & Casual Catering) and local brews, is at Macken Park in North Kansas City, Missouri, from noon to 10 p.m. The event is free to attend, but the craft beer tasting (which includes 15 three-ounce pours and runs from 2 to 7 p.m.) is $25. It’s Bounce-Tober Fest at The City Market (20 E. Fifth St.) from 4 to 8 p.m. The festival is in memory of Zach Pearce, who was shot and killed in December 2017, and a portion of the proceeds will go the AdHoc Group Against Crime. There will be live music, face painting, a pumpkin patch and yard games. Admission is free, but the inflatables and beer garden require a ticket. Boo ‘n Brew comes to Town Center Plaza (5000 W. 119th St., Leawood, Kansas) from 2 to 7 p.m. The Beast, the haunted house in the West Bottoms, will bring Medusa, the “world’s largest snake,” and there will be adult, kid and pet costume contests. The brew portion is a VIP beer garden ($15) from Houlihan’s, which comes with three beers and snacks. The sixth annual Brew at the Zoo & Wine Too is at the Kansas City Zoo is from 7 to 10 p.m. Sample wine and beer from local wineries and breweries, listen to live music from Fitness and Kitten, and get food from the Taste of Brazil and Bop N’ Bowl food truck. Tickets are $40 for Friends of The Zoo, $50 for non-members. The KC Pumpkin Patch (13875 S. Gardner Road, Olathe, Kansas), which is right next to KC Wine Co., is open from noon to 6 p.m. on Saturday and Sunday. There are games (grain truck Skee-Ball, pumpkin bowling, tether ball), slides and apple cider (both non-alcoholic and hard cider). Tickets are $15. Kansas City Bier Co. (310 W. 79th St.) hosts its Howl-O-Ween Patio Party with Brookside Barkery from 3 to 7 p.m. There’s a pet costume contest and $1 from every Spezial beer sold will go to Wayside Waifs. Get a doggie goodie bag with a $5 donation at the door. Cinder Block Brewery (110 E. 18th Ave., North Kansas City, Missouri) hosts the Culinary Fight Club’s Tailgate Throwdown from 6 to 9 p.m. Drink Cinder Block brews and watch area chefs battle it out in the “Iron Chef” style competition with a mystery ingredient and cooking challenge. Tickets are $40.